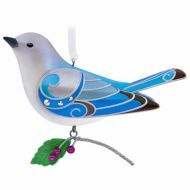 This is the sixth ornament in the Beauty of Birds series. 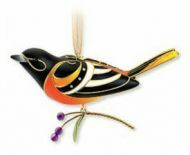 This ornament was designed by Edythe Kegrize and is 4 inches tall. 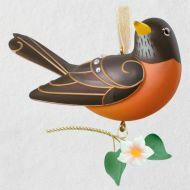 This is the seventh ornament in the Beauty of Birds series. 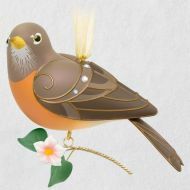 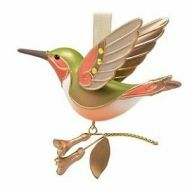 This Hallmark Gold Crown Exclusive ornament was designed by Edythe Kegrize and is 4 inches from beak to tail. 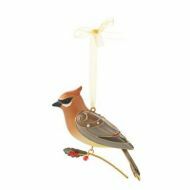 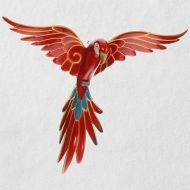 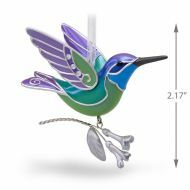 This is the 12th ornament in the Beauty of Birds series. 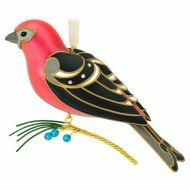 Crafted by Edythe Kegrize, this ornament is a Hallmark Gold Crown Exclusive. 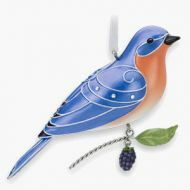 2017 Beauty of Birds: Lady Mountain Bluebird Ltd. Ed.